If you have read the bible then you already know how this story goes. This didn't spoil this book for me at all!! It was wonderful to see how God can use even the most infantile or feeble believers. 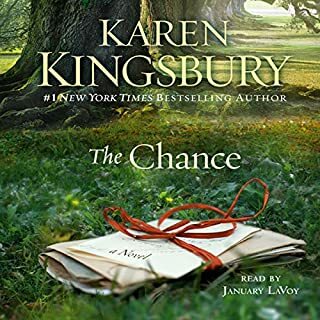 The bible is read before and finishes with more passages, but in the middle there is the beautifully emotional story of Tamar (pronounced "Tae-mer" in this novel). I don't think she ever had a loving relationship until her children were born. You got to know all the characters in Juda's household and saw how he felt. I was appropriately duisgusted by his son's and rooted for Juda and Tamar's faith to uphold at every chapter. It is a short read, and one I recommend. Be forewarned, it is an emotional story, not a light read. A small part of a bible story comes to life. It helps you restructure your feelings towards our daily difficulties and our lack of understanding. This story portrays courage and patience. The story was wonderful and heart touching.. The person reading the book had an unappealing voice at first, it was very deep, scratchy... it took me some time to get use to it.. Now why I'm disappointed. Why is it that the physical book is sold with all the stories together and audio is sold separately with only 4 hours averaging each short story, and for full price? 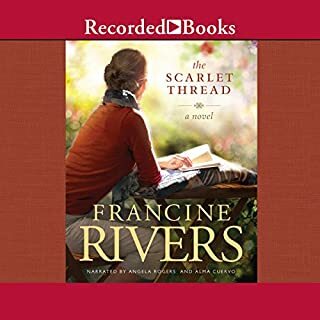 It would be great if they could either combine them or at least reduce the price just a little..
Francine Rivers your an AMAZING writer, love u!! These stories are WAY better than television! What awesome insight into the challenging and rough life of one of the Bible's most intriguing women! 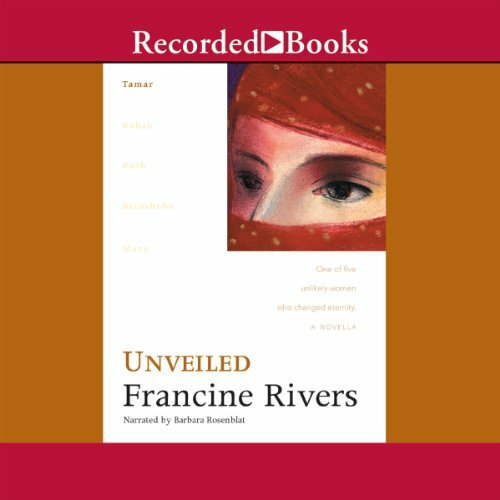 For those who’ve read the short biblical account of Tamar, this book fleshes out the truth of her incredible story of faith and steadfastness. A young girl from Canaan, Tamar comes from a family who worships idols. Her sister is a temple prostitute. Judah, Jacob’s son (and one of the brothers who sold Joseph into slavery) went to Canaan to choose a wife for his son, Er. Judah himself is wed to a Canaanite woman, which has caused him grief beyond measure, and ruined his sons, who are all self-centered, arrogant fools. Judah is well aware of this, secretly grieving the day he took part in the betrayal of his young brother, Joseph, and never personally taking part in the idol worship that his wife and sons partake in. Yet Judah allows his wife to ridicule the God of his father, never disciplines his sons and once he brings Tamar home to become Er’s wife, even allows Er to mistreat her. One sentence will settle deep in your bones as you listen to this book. The words that Tamar spoke to Judah: When will you do what is right? She had a long, long time to wait. God chooses the young. The inexperienced. The most unlikely. And he makes them steadfast. From the time Tamar was in her father’s household as a young girl, she feared the God of Israel. The God who destroyed Sodom and Gomorrah. She never wanted to see her own children sacrificed to Baal. She abhorred the clay gods in her father’s household. And upon entering Judah’s household, she began inquiring about the God of Israel. 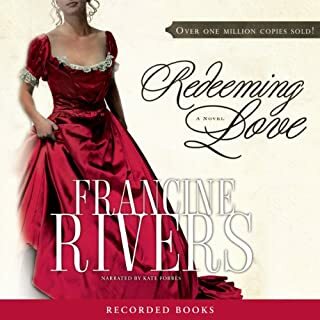 This book helped me to understand much more clearly about the laws regarding marriage during this time in history, and added great appreciation for the sacrifice of women, particularly those like Tamar, who chose obedience to a living and loving God over the prevalent beliefs of her culture. Excellent story and performance by narrator. 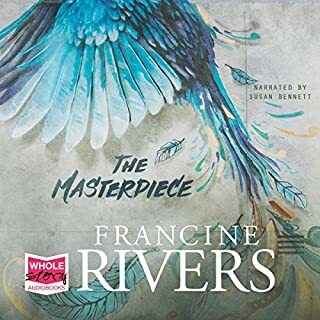 Francine Rivers has done it again. Compelling and dramatic and courageous and faith in the midst of adversity. Drawn into the book that dramatized the scripture with the authors imagination which did not take away from the true message in the scripture . Thoroughly enjoyed it. such a wonderful presentation of scripture. I love how Francine presented the truth in an exciting manner. Tamar is my new heroine! 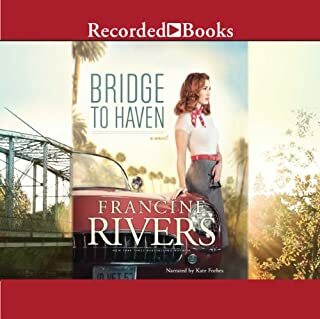 With great care and substantial historical research Francine Rivers brings a beautiful humanity to a tiny piece of Biblical history which has mystified me for years! I thoroughly enjoyed it! 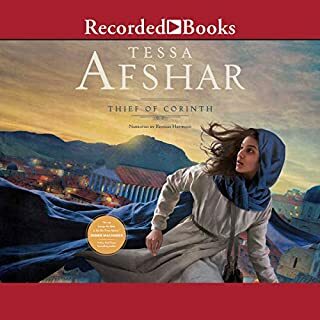 I really enjoyed listening to the story about Tamar and the narrator brought the story to life in the Bible and I had a greater understanding of the time of old in the Bible. How God used Tamar to show Judha that he needed God's forgiveness and to recognise once he confessed his sin God would restore Judha to the place he wanted Judha to be. Tamar was an amazing women because she suffered so much for a young girl at the age 14 , I have been truly blessed. Lovely to hear a story from the Bible read in this way. Enjoyable listening, even had it on in the car. Can't wait to hear the next in the series.